Katrin has been working in Brussels since 2001. At AECM since November 2013, Katrin has worked for the Confederation of German Employers’ Associations (BDA), for the German Savings Banks Association (DSGV) as well as for the German Confederation of Skilled Crafts and Small Businesses (ZDH) being at the same time the EU Representative of the Association of German Guarantee Banks (VDB). She graduated from the University of Passau (Germany) in Law, was at the University of Angers (France) for the Erasmus project, then passed the second state exam in law in Potsdam (Germany), and finally acquired a Master of Law from the University of Aberdeen (Scotland). Next to her mother tongue German Katrin speaks English, French, Italian and Spanish, understands Dutch and reads Portuguese. Katrin is Honorary Consultant of Taiwan SMEG, a credit guarantee institution specialized in supporting SMEs in Taiwan in getting access to finance. She is married and has three children. With a degree in Museum Anthropology from the University of Rome “Sapienza”, Eleonora has worked for many years in the digital sector as project manager and as communications officer for cultural sector associations. 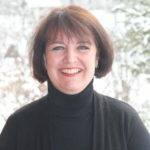 At AECM she takes care part-time of events, communications and office management. The rest of the time she manages her own company, Destination Everywhere Accessible Travel, a website dedicated to travel for people with disabilities. Eleonora is bilingual Italian/English and speaks fluently French and Spanish. 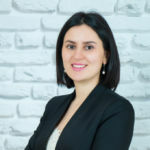 Felicia, who has the Moldavian and Romanian nationality, studied European Law at Alexandru Ioan Cuza University, Romania, as well as Political Science at Bologna University, Italy. She complemented her professional profile with a traineeship at the European Commission, Directorate-General for Migration and Home Affairs, and used to work for the Ministry of Education of the Republic of Moldova. At AECM, Felicia is responsible for Agriculture, State Aid and Structural Funds policy dossiers including the responsibilities for the corresponding AECM working groups. Next to her mother tongue Romanian, Felicia also speaks English, French, Italian and Russian. 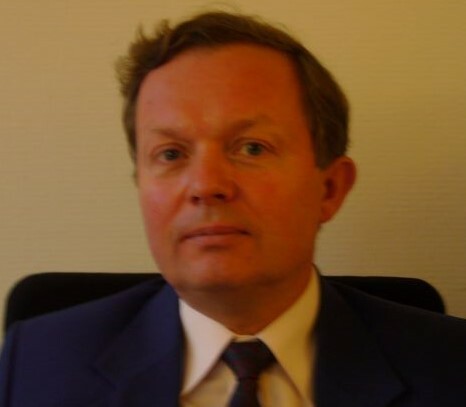 Felix holds a master’s degree of Strasbourg University in Economics and European Policies. He has been working in project finance and in the EU political representation of small and medium-sized enterprises. Before joining AECM, he was working for the German AECM-member VDB as a permanent representative to the EU. At AECM, Felix is responsible for EU Financial Instruments, SME Policy, Financial Regulation and Statistics. Besides his mother tongue German, he speaks English, French and Italian. Jean-Louis Leloir graduated from the French High Business School ESCP in 1975. He has filled over a period of 40 years various management responsibilities, mostly in the field of loan guarantee schemes, in the French public development institution supporting SME financing, called Bpifrance (formerly OSEO), which is a leading benchmark in the area of public guarantee schemes.Formerly Area Manager, then Credit Department Manager and Chief Auditor, he was for 12 years Head of Technical Assistance and Consulting, addressing acquired expertise to foreign guarantee institutions, in assignments from Donors and International Institutions (World Bank Group, AFD, OECD, and European Commission). His missions took place in Morocco, Algeria, Tunisia, Lebanon, Egypt, Djibouti, Madagascar, Saudi Arabia, South Africa, Belgium, Russia, Romania, Bulgaria, Turkey, Kazakhstan, Latvia. Since 2015 he is Special Adviser to the Board of Directors of the European Association of Guarantee Institutions. 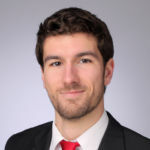 Maurizio holds a Bachelor degree in Business Administration and is currently doing a Master’s degree on the same subject at the SAA – School of Management of the University of Turin. His research focus and dissertation will be centered on SMEs and access to finance. He speaks Italian, his mothertongue, and English.